The restructuring of the energy system in one of the world’s leading industrialized nations is undoubtedly a highly ambitious undertaking. There is no blueprint for this energy transition that would offer a simple step-by-step procedure to follow. In that sense, the Energiewende is an open learning process and pilot project at the same time, one that is being observed internationally with a mixture of hope and skepticism. 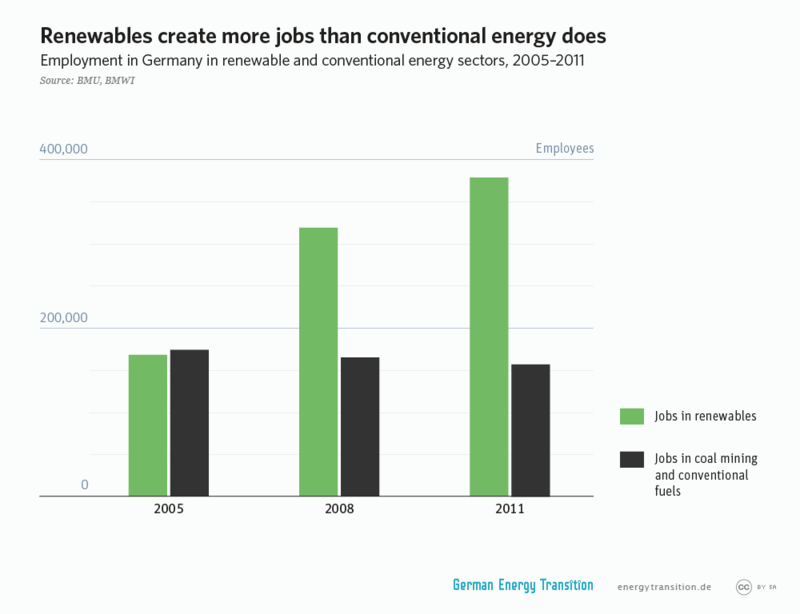 However, there is one thing that the German energy transition is certainly not: an island of its own that isolates Germany’s energy economy. On the contrary, a quick overview of the world’s state of affairs with regard to energy shows that the global energy transition is now picking up speed, as Ralf Fücks points out. Let’s start with Europe. The region is very heterogeneous even with regard to its energy policy. The member states of the European Union have committed themselves to achieve three goals by 2020: reduce CO2 emissions by 20 percent, increase the share of renewable energies to 20 percent, and improve energy efficiency by 20 percent. However, the ways in which these objectives are to be achieved differ considerably, mainly with regard to the importance given to nuclear energy. Within the EU, dependence on nuclear power varies between 75 percent (in France) and zero. Half of the member states get by without nuclear power reactors. In 2010, the nuclear share of total electricity generation in the EU was 27.5 percent, with a decreasing trend. At the same time, the renewables share reached 20 percent, with an increasing trend. A closer look at the facts shows that the oft-touted renaissance of nuclear power is a myth rather than reality. The share of nuclear power in the world’s total electricity generation decreased between 1993 and 2011 from 17 to 11 percent. At the same time, the share of renewable electricity had reached 20 percent. Renewables are also becoming increasingly attractive to investors. Globally, the percentage of new investments in electricity generation that went to renewable energy reached 59 percent last year (2014); and in the European Union that percentage even reached nearly 80 percent. Cost dynamics is a crucial factor in this trend. 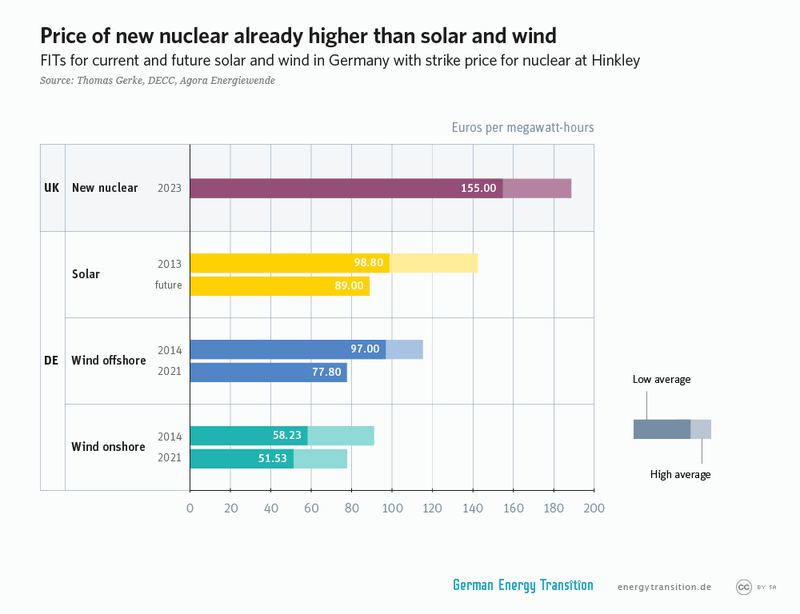 Contrary to the myths of cost-efficient power from nuclear energy or coal, the costs for new nuclear reactors in particular are exorbitant while those for photovoltaics and wind power are declining rapidly. Since 2005, the investment costs for solar power have dropped by more than 80 percent and those for wind power by more than 60 percent. In the southern regions, photovoltaics has now achieved economic viability (even without counting the external costs incurred by fossil fuels). As a result, the sector is experiencing very high growth rates. The world’s newly installed solar capacity increased from 2010 to 2011 by no less than 70 percent, reaching 27.7 gigawatts. Here, non-European markets are playing an increasing role. For example, the United States is now the leader in large-scale solar power plants generating more than 250 MW. The same applies to wind power: modern wind turbines located at good sites need not fear a cost comparison with fossil power plants. In the United States, production costs are now estimated to be 5 to 6 cent per kWh. In 2014, global investments in wind energy increased by 40 percent compared to the preceding year. Of this amount, nearly half were made by China. China is likewise far ahead of the curve in the expansion of the solar energy sector. Moreover, while renewable energies are becoming increasingly competitive, there is not one nuclear power plant in the world that is being built without government aid or guarantees. Evidently, such projects are too expensive, too risky and laden with too many unresolved issues regarding the disposal of nuclear waste and the dismantling of decommissioned nuclear power plants. Whether the plans of some European countries such as Poland to build new reactors will ever become reality is doubtful. Apart from avoiding the residual risk, never to be fully eliminated, of nuclear power plants, efforts to tap into the enormous potential for efficiency gains in the local energy sector and to begin with the construction of an alternative energy system would also be more rewarding at the economic level. The energy transition would open up additional opportunities for value creation especially for Europe’s rural regions. In fact, the solar energy revolution has already begun. Here, Germany acted as a catalyst. The pay-as-you-go financed expansion of wind and solar power allowed to finance the industrial learning curve of renewable energies and enabled the building of modern PV production capacities, especially in China. In this respect, Germany’s Renewable Energy Act (Erneuerbare-Energien–Gesetz or EEG) can be considered the most successful development aid program of all times. Thanks to this Act, renewables are now at the verge of reaching their breakthrough. In particular for developing countries without a nationwide infrastructure network, renewables are an attractive means to advance rural electrification. However, renewables likewise offer the possibility for the megacities of the South to generate the majority of their growing demand for electricity independently. For Europe, the substitution of oil, coal and gas with renewable energy is improving the balance of trade: we are replacing annual energy imports in the order of hundreds of billions of euros with a power production that is fully domestic. At the same time, we are also reducing our dependence on crisis-ridden regions and authoritarian regimes. If implemented consistently and rigorously, the energy transition could become the driver for an industrial renaissance of Europe: an innovation and investment program of a massive scale. Beyond advancing solar and wind energy in its various forms, other promising topics are geothermal, wind and tidal power plants, fuel cell technology, artificial photosynthesis and next-generation biofuels derived from microorganisms (algae) or organic waste. This would be flanked by the infrastructure supporting this renewable energy system: smart grids that allow for a better coordination between supply and demand, the development of efficient means of energy storage, and the conversion of surplus power into hydrogen or methane. Another promising field is that of establishing links between the power, heating and transport markets. E-mobility (battery and fuel cell technology) could become a bridge between the electricity market and the transport sector. Thus, instead of stepping back and putting the energy transition on hold, Germany has the chance to become a pioneer in a green industrial revolution that will serve as a global model for sustainable growth. The more we are able to drive the energy transition at the European scale, the more successful we will be with this project. The triumph of renewable energies will promote local self-reliance and regional energy cycles. However, here we must strive for the optimal use of synergy effects of renewables at the pan-European scale, while avoiding a re-nationalization of European energy policy. A Europe-wide network with wind power from the coastal regions, hydropower from Scandinavia and the Alps, solar energy from the sun belt around the Mediterranean, and biomass power plants in the vast agricultural areas of Central and Eastern Europe will guarantee energy security and reduce the need for expensive electricity storage facilities. Such a vast, cross-regional network does not run counter to decentralized structures but improves the stability and economic efficiency of the overall system. Germany’s decision to embark on the transition of its energy system rather than orienting itself to the lowest common denominator of the European Union was a good move. 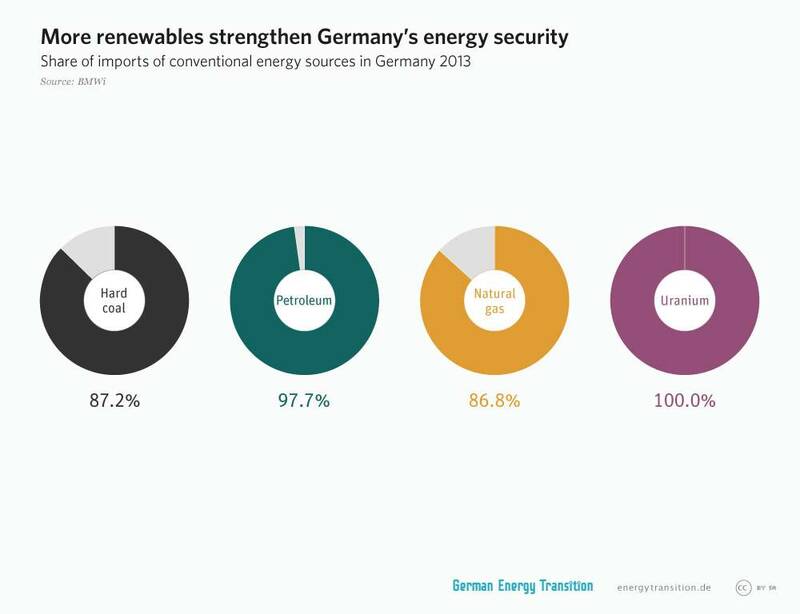 At the same time, Germany is not an island with regard to energy policy. The rapid growth of wind and solar power within its own borders has increasing impacts in particular for Poland and the Czech Republic. For example, since we feed our surplus power into their grids, the power plants located in those markets are being crowded out. This has not been met with universal applause. For this reason, Germany’s energy policy is in need of an improved coordination with its neighbors, which also applies to France and the Benelux countries. Considerable opportunities exist in the expansion of the north-south corridor with the Scandinavian countries and the Alpine region, which have embarked on similar paths in their energy policies. Sweden, Denmark and Austria are ahead of us in the expansion of renewables, and Norway, with its enormous potential for flexibly adjustable hydropower, is an ideal partner for Germany. The goal of having one hundred percent of our energy needs met by renewable sources is indeed a realistic prospect if implemented with energy-saving technologies and resource-efficient production methods. At the same time, the “100-percent-renewable” goal would also serve as a project that could add a new dynamic to the European cooperation and strengthen Europe’s sense of togetherness. Ralf Fücks is co-president of the green-affiliated Heinrich-Böll-Stiftung. In the spring of 2013, his book “Intelligent wachsen. Die grüne Revolution” was published, which is also available in English. 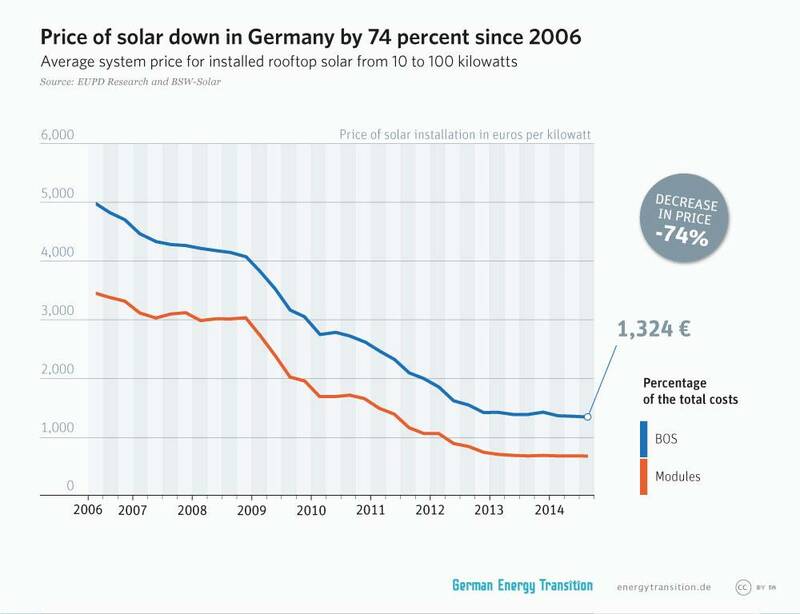 The energy transition in Germany was initiated by legislation and not by the technology. While other countries do not find it economically viable to shift to renewables due to expensive technology and stop to even think about this transition due to lack of money. We in India need to learn from Germany that technological change could be encouraged through political will and change in policy and regulatory practices.